Harry Kewell is bringing down the curtain on a stellar career at the end of the current A-League season. It is a pity that he could not make it to what would be his third World Cup in succession, but the body which has inhibited him in the latter stages of his career will not let him deliver the kind of consistent performances demanded by Socceroo coach Ange Postecoglou. Even Melbourne Heart must have been reluctant to offer a new contract, despite the impact he has had on the players around him since he joined the club. So the time is right for one of our all-time greats to step aside. He was born in Smithfield in New South Wales of English parents. I first saw him play at Kim Reserve in 1994 with the New South Wales Under-15s who won the national championships beating a very strong Victorian side in the final. 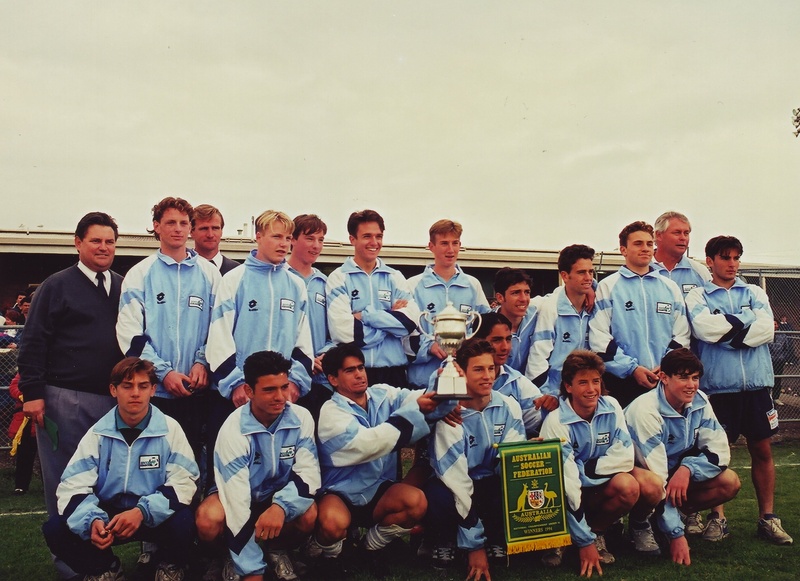 The light blues included Brett Emerton, Sebastian Sinozic, Yane Talcevski, Daniel Ucchino, Michael Cunico, Robert Trajcevski and Adam Brodbeck, all of whom went on to have significant careers in the game. Lined up against them were Vince Grella, Danny Allsopp, Simon Colosimo, Rodrigo Vargas, John Maisano, Clayton Bell and Colin Azzopardi. Between them these two talented groups produced most of the Joeys who took part in the Under-17 World Cup in Ghana where Australia pipped Spain on goal difference to qualify from its group behind Nigeria. Brazil proved too good in the quarter-finals and Danny Allsopp was top scorer with 5 goals and Kewell got the other. Very soon the precocious Kewell was on his way to Leeds United where he began as a wing-back and his powerful engine got him up and down the field following his debut in the first team under Howard Wilkinson. He flourished under George Graham and David O’Leary clocking up over 180 league appearances and scoring 45 goals. 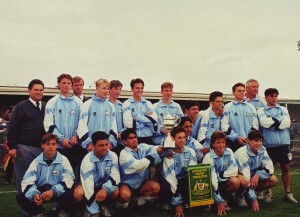 On 24 April 1996, Eddie Thomson gave Kewell his first Socceroo cap against Chile in Antofagasta. Eddie was shrewd enough to know that Kewell could have been tempted to play for England so it was vital to ensure that he was aligned with the Green and Gold. Most sources want to claim that as a result he was the youngest player to be capped by Australia, but this is not true. Duncan Cummings was months younger when he made his debut against China in 1975, scoring within minutes of coming on as a substitute. 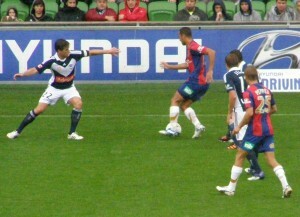 That was the first of Cummings’ two games for Australia, while Kewell was to go on to amass 56 games and score 17 goals. From Leeds, Kewell transferred to Liverpool where he was to win a series of trophies including the European Champions League in 2005, when injury resulted in his substitution before his team-mates produced a miraculous second half fight-back against AC Milan and won the cup on penalties. He played just under 100 league games for the Reds scoring a dozen goals. In 2008 he moved to Galatasaray in Turkey, captaining the club and performing various feats including a couple of matches at centre-half when injuries to other players occurred. Meanwhile he took part in Australia’s unsuccessful qualifying campaign for the World Cup in 1997, scoring critical goals away from home and at the MCG against Iran. His heroics were not enough and Australia lost on the away goals rule. It was an equally sad story in 2001 as a home win over Uruguay thanks to a Kevin Muscat penalty was cancelled out by the three-nil loss in Montevideo. Opinions differ as to Kewell’s contribution to the away leg. My feeling was that he left Mark Viduka unsupported in the striking role failing to be close enough to the big man who had three top class defenders marking him for most of the game. 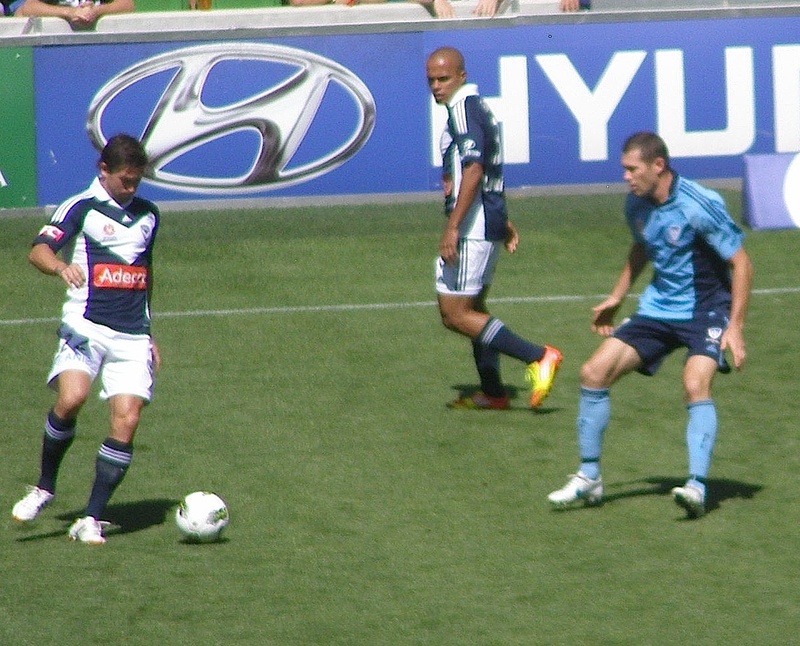 In 2005 however Kewell came into his own with an inadvertent shank that set up Marco Bresciano for the goal at home to Uruguay and putting away one of the successful penalty kicks. Then in Germany in the finals he scored the decisive second goal against Croatia, but then had to miss the Italy game in the round of 16 thanks to what was suggested to be gout at the time. Kewell backed up again in 2010 in South Africa though he was perhaps harshly sent off for blocking a goal-bound effort against Ghana in the second match and hence badly missed then and in the victory over Serbia. Kewell also contributed in Australia’s Asian Cup campaigns in 2007 and 2011. He was named as Australia’s greatest ever player in a poll in 2012 which inevitably focused on recent stars. He certainly generated the charisma which attracted people to the game in an age of celebrity. 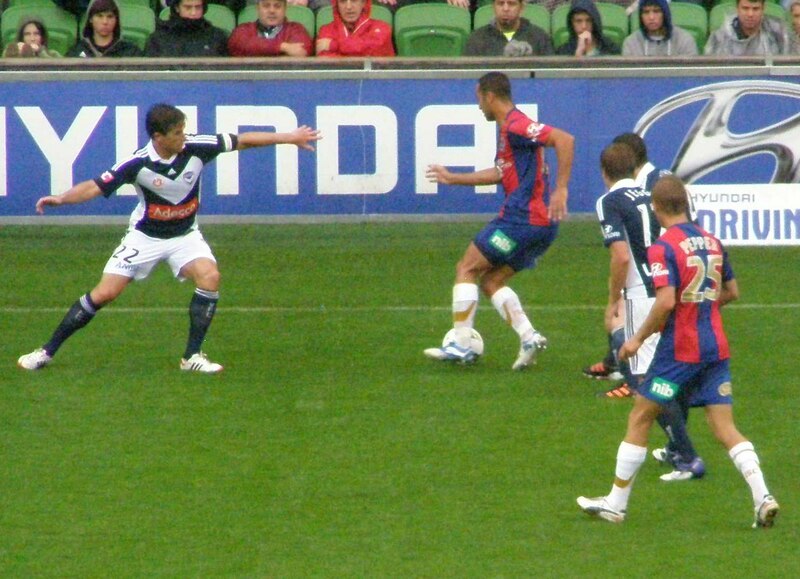 So when he returned to Australia in 2011 and signed with Melbourne Victory on a contract which gave him an element of his income based on the number of extra fans he attracted to the game, there is no doubt that he boosted the profile of the club and the A-League. However by now his body was giving him less chance to demonstrate his talent, though as the first season ran its course his contribution on the field improved significantly. After the season he returned to England and then played briefly with Al-Garafa in Qatar before coming home for what turned out to be his final fling at Melbourne Heart. Again injuries cruelled his season, but he deserves to go out with a flourish in Heart’s final game of the season against Western Sydney Wanderers on 12 April. Kewell attracted a fair amount of controversy over his long career, partly explicable as a product of the tall poppy syndrome, but some self inflicted or a result of the agents with whom he dealt. Also the injuries he suffered were not appreciated by those furthest from the man himself and his abrasive or dismissive attitude to the media did not always work to enhance his image. Nevertheless, he has been a major contributor to Australia’s recent success, as key member of the ‘golden generation’. In time people will be able to evaluate his career more dispassionately and with greater perspective, but he is certainly one to be considered when listing the players who have lifted the profile of the game in this country.